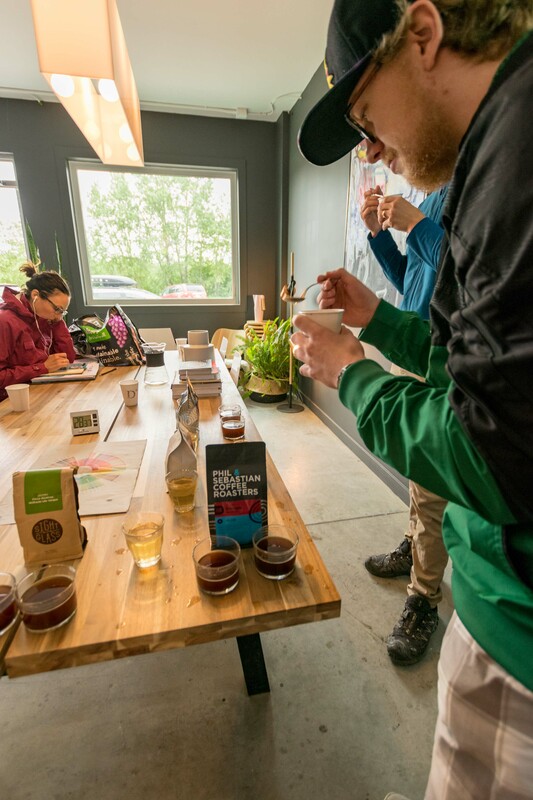 We’ve partnered with Tourism Red Deer again this year to bring a series of hands-on experiences for tourism industry staff in Central Alberta. 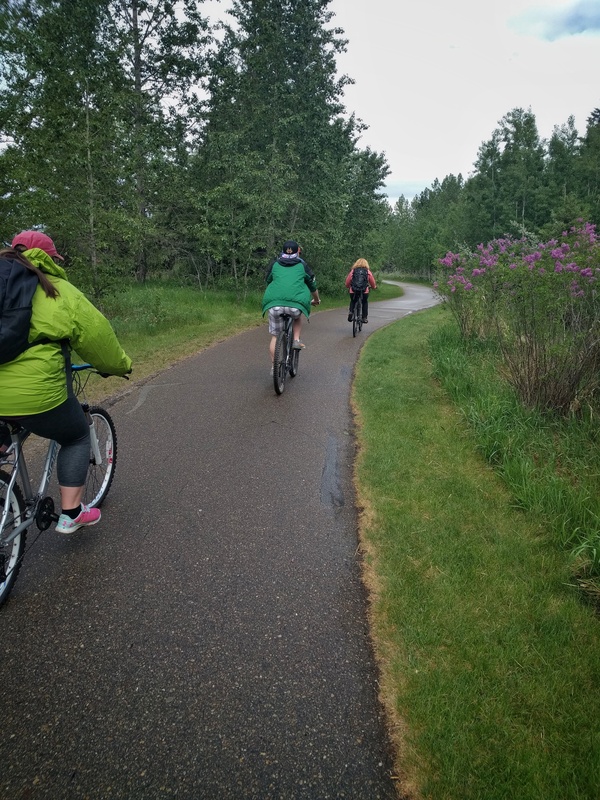 The Waskasoo Park Bike Tour kicked off the 2018 tour series and National Tourism Week. 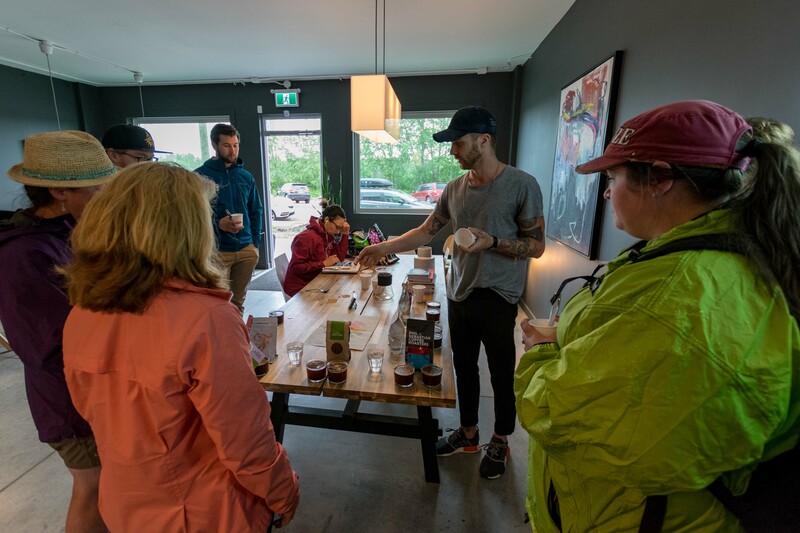 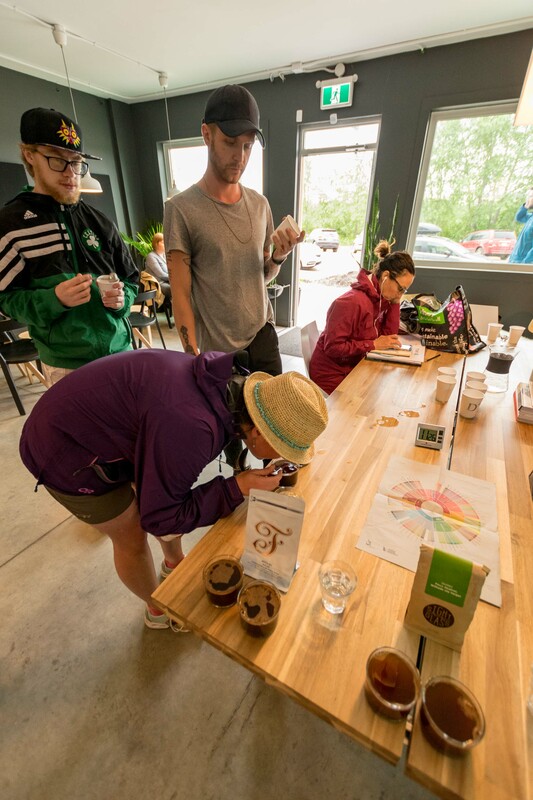 Despite a rainy start of the day, we had a great time learning about coffee, exploring the trails and enjoying lunch on top of the bird blind at the Gaetz Lakes Sanctuary. 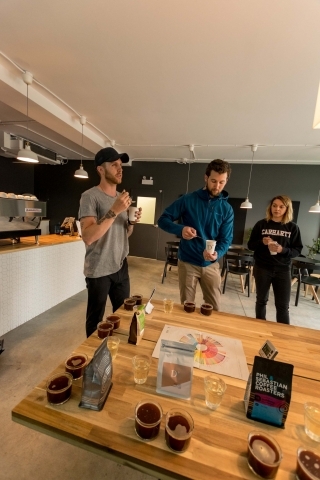 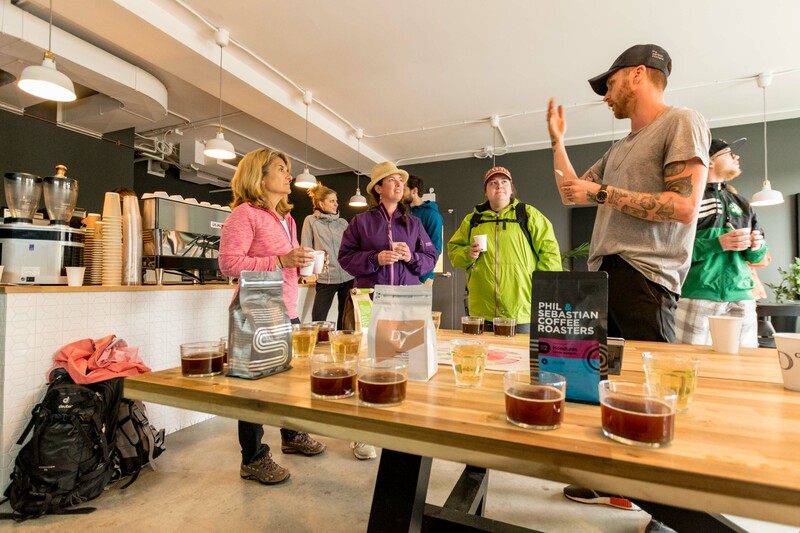 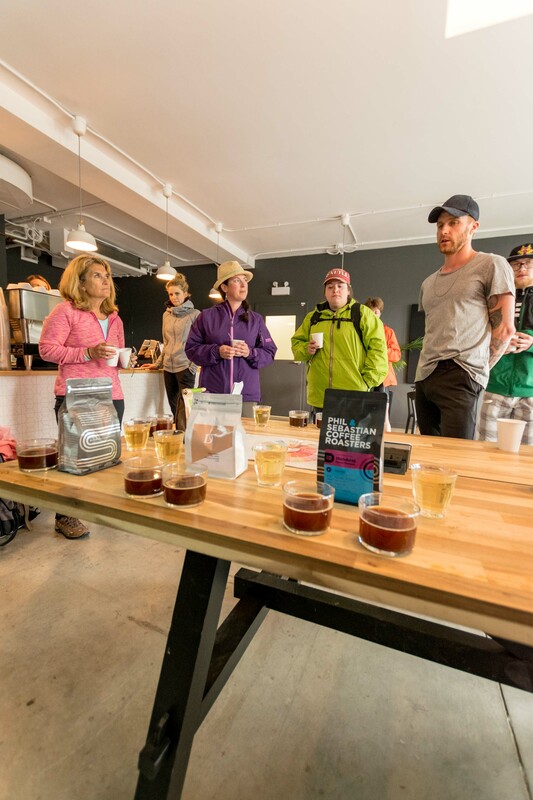 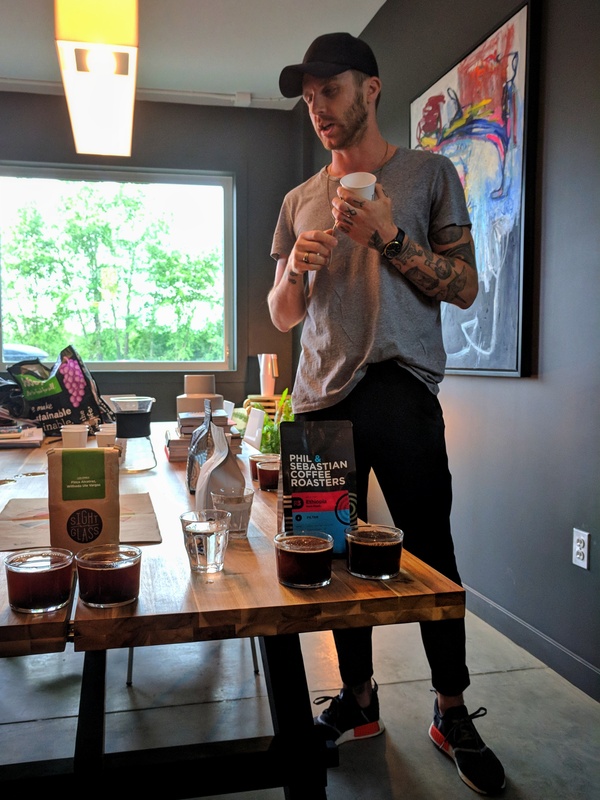 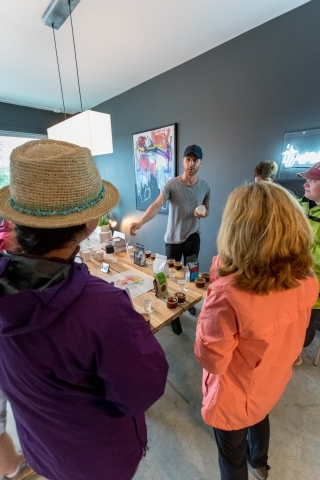 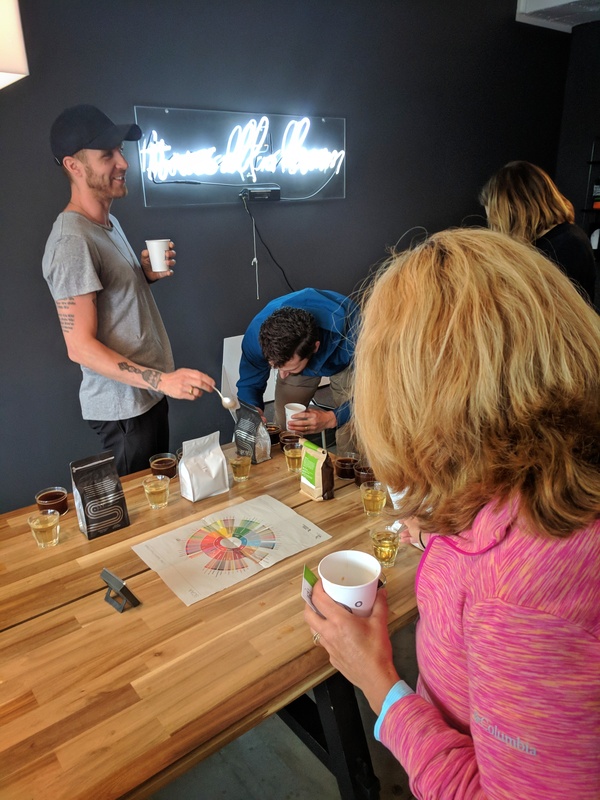 Rolland from DOSE Coffee Co introduced us to coffee cupping and the world of premium coffee. 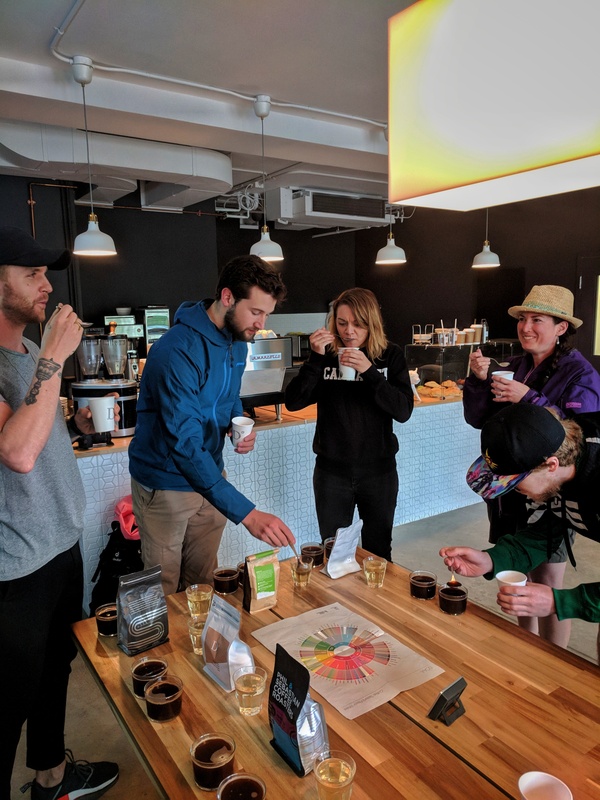 We learned about the impact of the terroir, the roasting process, grading and how to taste coffee. This new experience is available for groups with advance booking. Riding through Heritage Ranch, one of the nodes of Waskasoo Park. 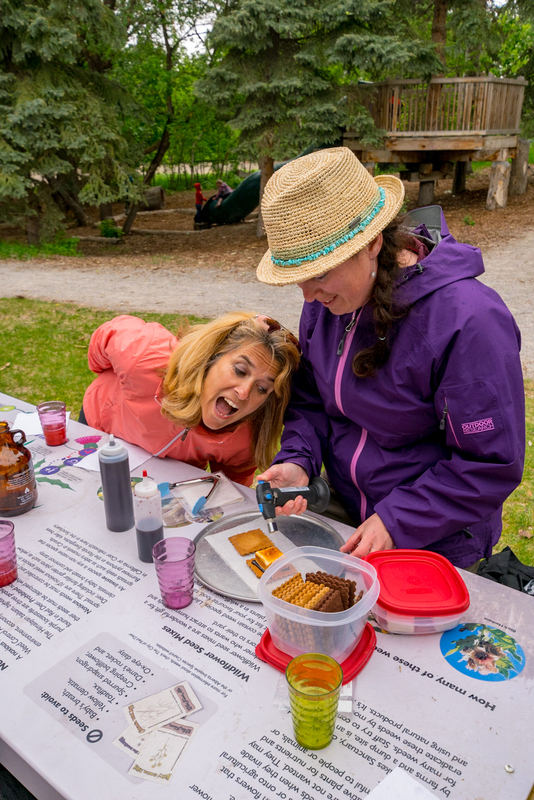 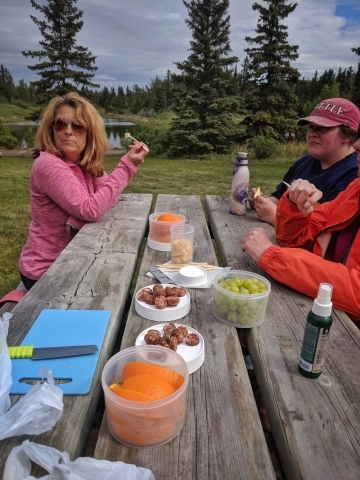 The day started wet but luckily for us the skies cleared a few minutes later as we made our way to Mitchell Pond for a snack break featuring treats from Mondo Fine Foods and Sylvan Star Cheese. 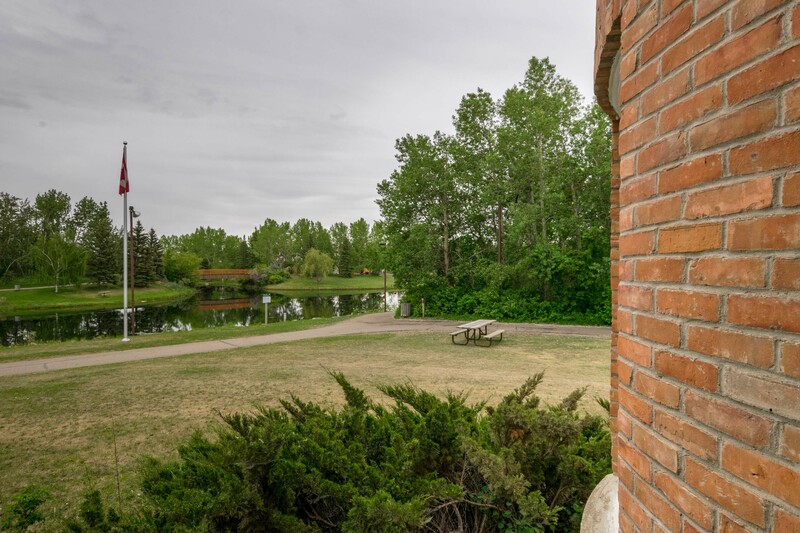 Our bike ride took us along the river to Bower Ponds, another node of Waskasoo Park with a long history of industrial use before it was reclaimed to create an urban park throughout the city. 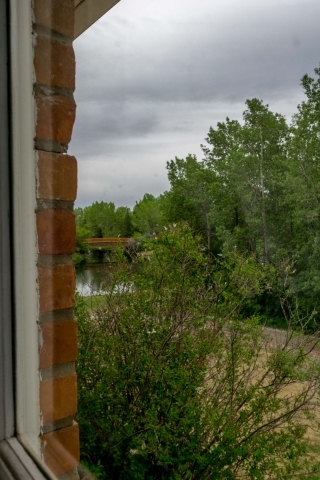 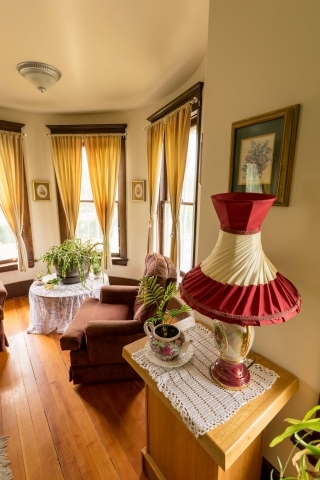 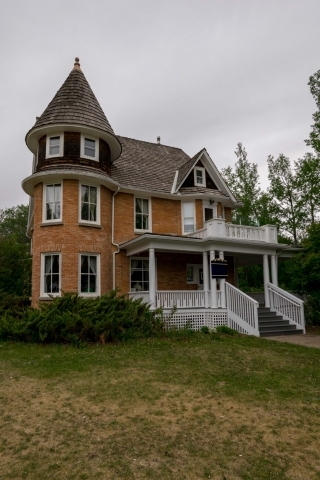 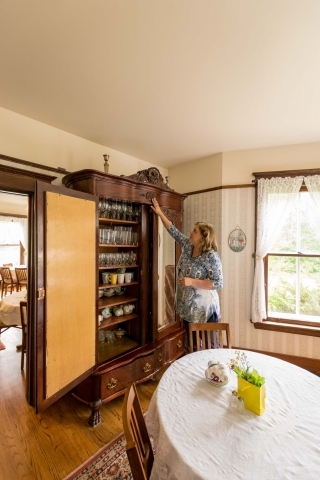 The park is home to the Cronquist House, a restored Victorian-style farmhouse where the Red Deer Cultural Heritage Society now operates a tea house and offers tours of the house. 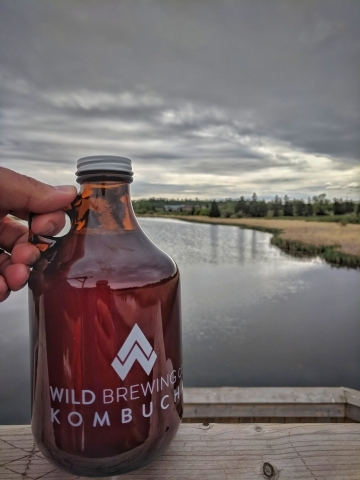 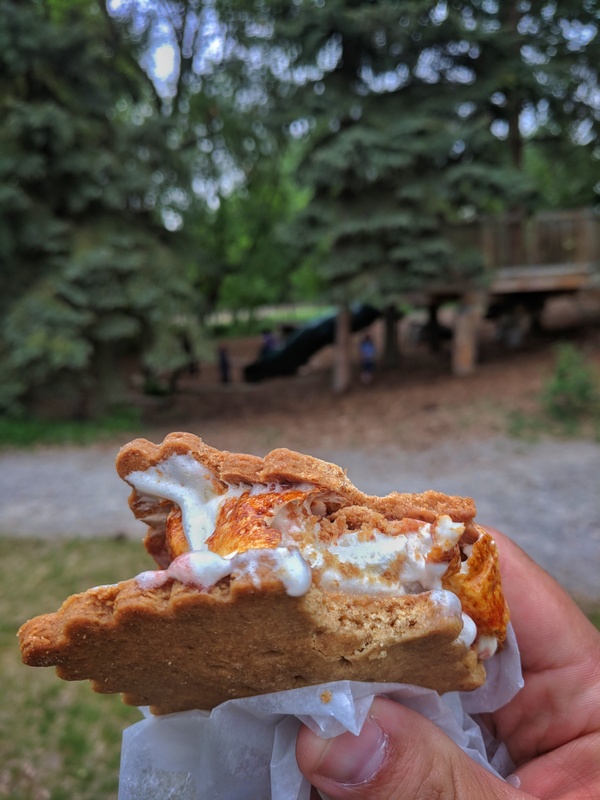 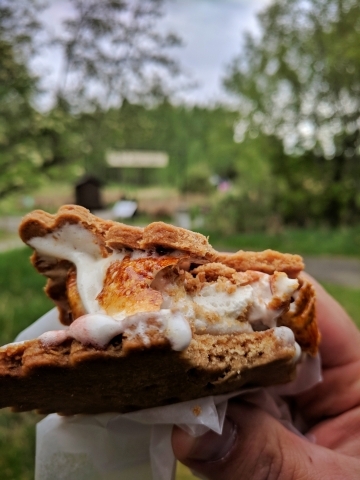 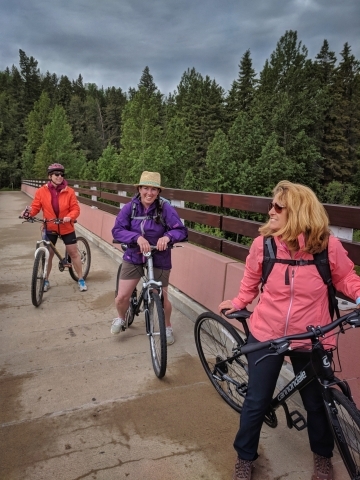 After a quick stop on the CPR Pedestrian Bridge to take in the views of the Red Deer River and a short detour into the Waskasoo neighbourhood to check out some of the historic properties featured on the new Waskasoo Self Guided Walking Tour we made our way to the Kerry Wood Nature Centre. 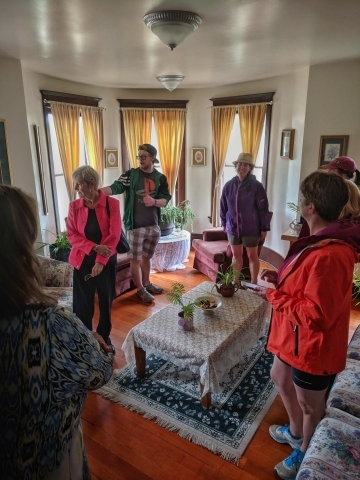 Curious about the itinerary for this tour? Here’s the trip info.